Every industry requires customer requirements in the vertical market. For sugar industry, production lines often run continuously due to frequent changing of consumer demands. At the same time, it requires extensive data management to ensure product quality. That is why the majority of the sugar factories now use industrial computers linked to automated systems. 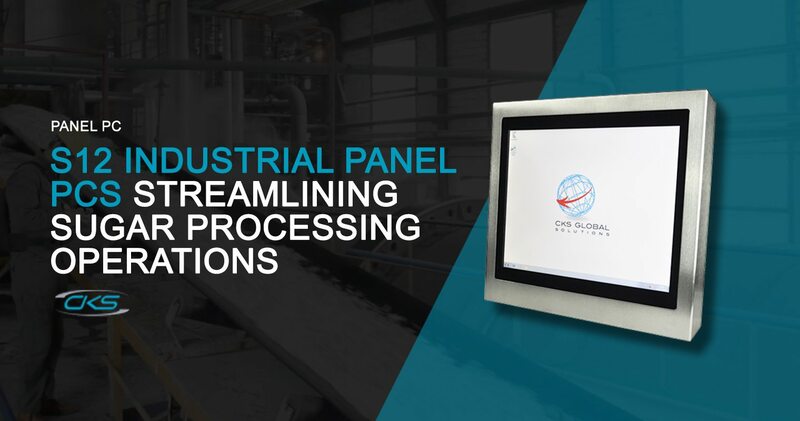 Not only will it suffice the demand, but also these industrial PCs streamline the sugar processing operations. Aside from mill transport, steam production, control systems for refinery can also be integrated to automation. However, all these processes have multiple applications. These industries require the right computing system to make sure that all systems will work effectively. Consequently, the S12 industrial panel PC can be embedded into sugar plant’s control system. And, this includes the integration of automation on the systems. Can this device maintain the quality of production despite its challenging workplace? Learn why these industrial computers are ideal to be used for the sugar manufacturing industries. Sugar manufacturing industries need high requirements for processing speed. This is because of its multiple applications used where sugar plants continuously operate as well. But, these applications also need to be networked, more data storage and user-friendly. So, for these applications, industrial computers are used to streamline the processes. In fact, a modern day and hybrid automated systems can be installed in the S12 industrial PCs. It can have a compatible operating system to ensure that automation can function efficiently in these industries. Another key advantage of this industrial computing device is its ability to withstand to any type of working environment. It has an IP69K rating and NEMA sealing capability. Hence, it is resistant to liquid spillovers, dust ingress and caustic cleaners. How can these factories take advantage of this industrial computing device? Let us explore the compatibility and reliability of this computing system. The United Kingdom roughly consumes 2 million tonnes of sugar every year. So, many sugar suppliers opt for advanced technologies to cope up with the current demand. Besides automation, this efficient application must be installed in a reliable computing system. That way, an automated system can optimise and streamline the operations. Now, what can be the great advantage of embedding the S12 industrial PCs in these industries? Here are 3 of its remarkable benefits. Sugar processing is composed of non-real-time control tasks and real-time control platforms. So, it requires a system processor with viable operating systems. With the S12 industrial panel PCs, both of these tasks can be handled. It can even be utilised as the HMI platform simultaneously. And, it can also provide connection to the enterprise network by using a standard Ethernet (NIC) connectivity. Hence, this device can be ideal for multiple applications. One of the most challenging tasks in the sugar manufacturing industries is the extensive data management. Each data should be resourcefully gathered and carefully analysed to produce the finest quality of sugars. But, the S12 industrial PCs can have a Random Access Memory (RAM) of up to 16GB with DDR3-1333. Aside from larger memory space, it also has the capability to transfer data for I/O at 8 times the speed of its memory cells. Thereby, it enables higher bandwidth and increases in performance even at low power as well. Automated systems already comprise of multifaceted operations. So, it would be ideal to choose an operating system that can wrap up and organise the application. This operating system should provide an ease of use to the operators. This industrial-grade PC comes with an Intel® Baytrail-M/D™ J1900 2.00Ghz motherboard processor. The fact that Intel has been nearly 30 years of existence in the world of technology. This only means that any user is already familiar with its architecture. Thus, it makes it easier to implement and configure the system for these operations. In today’s globally competitive industrial marketplace, it is a smart decision to utilise an automation to industrial processes. Not only will it give the industry an edge but also to meet the consumers’ needs. So, consider installing the S12 industrial panel PCs in the sugar manufacturing industries today. As such, these industries may be able to provide a high-quality output of sugar products.